Colorado is known for its geographic diversity, with snow-covered mountains, arid desert lands and river canyons. The beautiful state hosts 4 National Parks, 8 National Monuments, 11 National Forests and dozens of other protected federal lands. Exciting opportunities for summer outdoor recreation include whitewater rafting the Colorado River or Arkansas River, hiking the nearly 500-mile Colorado Trail, biking, ATV\'ing, alpine sliding and other mountain activities, at resorts such as Winter Park, Copper, Vail and Aspen. 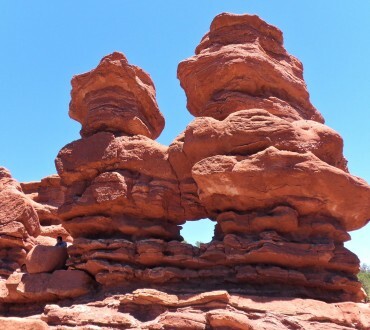 Located outside Colorado Springs, Garden of the G-D'S is a unique natural area with interesting rock formations. 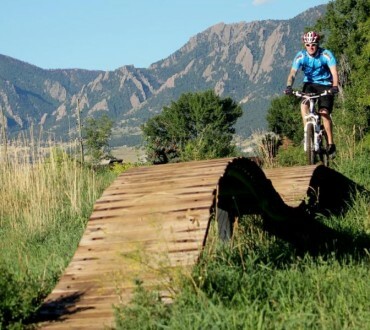 Hiking and mountain biking are popular activities and a good way to explore the scenery. From the park there are good views to Pikes Peak, the highest summit of the southern Front Range of the Rocky Mountains. At 14,115 feet, Pikes Peak - the highest summit of the southern Front Range of the Rocky Mountains of North America- is America’s Mountain. 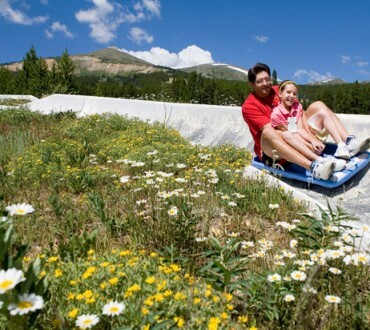 Take the 19-mile highway to explore Colorado’s most famous mountain. 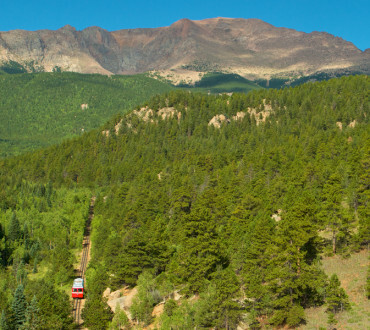 Ride the Pike's Peak Railway and enjoy amazing views while traveling up Pikes Peak via Cog Train. 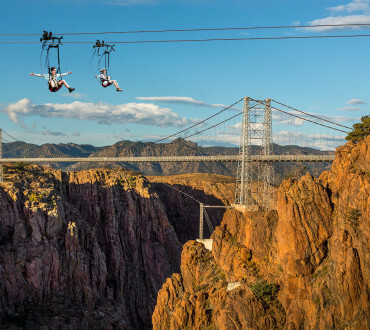 Other area attractions include, the Broadmoor's Seven Falls, Cave of the Winds Mountain Park, and of course the Royal Gorge and Garden of the G-d's. 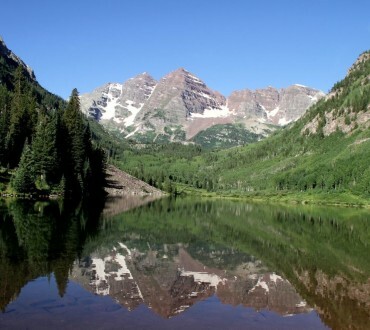 Maroon Bells-Snowmass Wilderness is found within the White River and Gunnison National Forests. 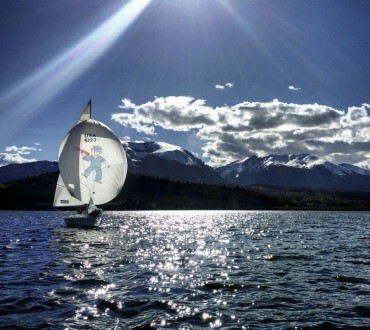 The area is known for soaring mountains, rushing rivers, and placid lakes. 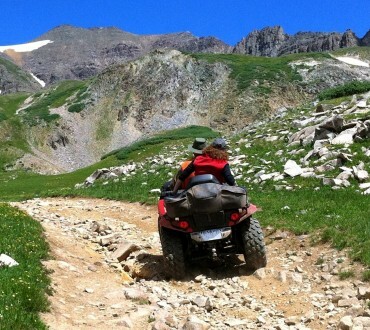 Many of the peaks exceed 14,000 feet in this 180,000 plus acre wilderness. The mountains are one of the country's most photographed spots and attracts climbers, hikers and nature lovers. Summer visitors are rewarded with carpets of wildflowers across vast alpine meadows. Wildlife is plentiful with sightings of mule deer and elk. 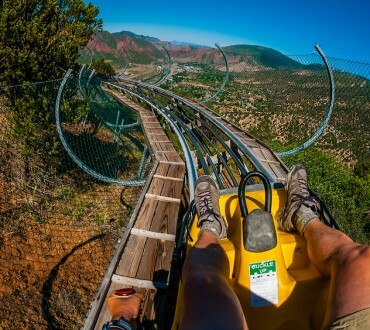 The Glenwood Caverns Adventure Park is one of Glenwood Springs’ most popular attractions, featuring cave tours, kids’ activities, and thrill rides including: Alpine Coaster, Cliffhanger Roller Coaster, Giant Canyon Swing, Giant Canyon Swing and much more. 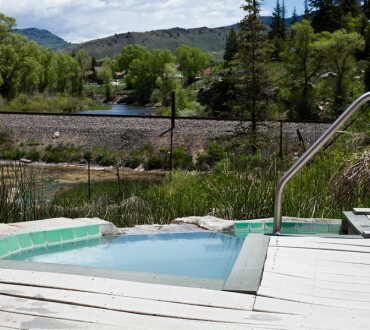 Nestled in the heart of the Rocky Mountains the Adventure Park sits on top of Iron Mountain with breathtaking views of the Roaring Fork Valley and surrounding mountains. A 10-minute scenic ride inside fully-enclosed gondolas are the only way up. Scenic drive up the highest paved road in North America. Mount Evans is the road into the sky. Drive from 8,700 feet at Idaho Spring where you turn off Interstate 70 to 14,240 feet to the summit, and you will pass through 3 life zones, passing ancient trees, lakes and forest to the land above timberline. It can be 90 degrees in Denver and 40 degrees at the top of Mount Evans. 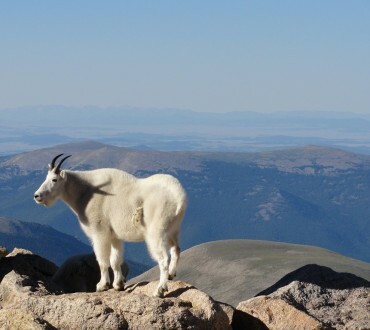 Mountain Goats and Bighorn Sheep will greet you as you climb to the top of the world. 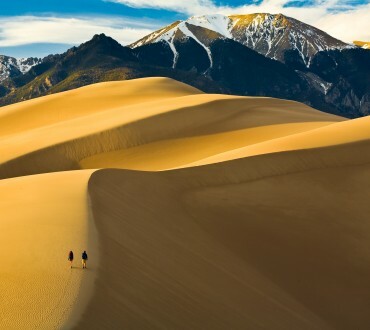 Great Sand Dunes National Park and Preserve protects the tallest sand dunes in North America… and a whole lot more. 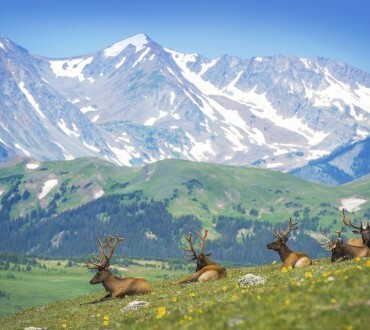 From the valley floor to the crest of 13,000 foot peaks in the Sangre de Cristo Mountains the park contain ecosystems ranging from sand sheet to dunes to tundra. Days are typically sunny, and nights offer skies so dark you can see the Milky Way. Enjoy the dunes—maybe even try sand sledding-- and take some time to splash in Medano Creek. 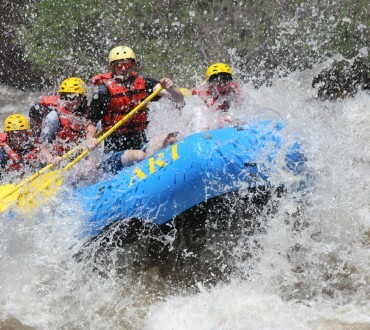 Colorado rafting begins each spring, when gravity and sunshine draw Colorado’s beloved winter snow down from the high country and into Colorado rivers for some of the country’s most amazing adventures. Find yourself on a raft passing by five 14ers on the Browns Canyon portion of the Arkansas River, carving narrow sections of the Cache la Poudre River, glimpsing Gold Rush relics on Clear Creek, looking up at the massively high Royal Gorge Bridge from the Arkansas River or floating down mild stretches of the Colorado River near Grand Junction and Glenwood Springs.